Wendy Mach, RM (NRCM), CQA (ASQ), is the Packaging Section Leader at Nelson Laboratories. Since 2004, she has overseen the integrity, strength and microbial barrier tests in the packaging department. After 19 years of testing medical devices, Wendy is an expert in packaging validations, sterilization validations, and microbiology testing. Before joining Nelson Labs, she worked as a lab supervisor managing the testing of sterility, microbial limits, bioburden, limulus amebocyte lysate, and antimicrobial effectiveness. Wendy began her career as a microbiologist performing in-house verification and validation. 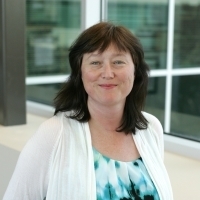 Wendy is the technical contact for multiple standards on the F02 committee for flexible barrier packaging of the American Society for Testing and Materials (ASTM), is a member of the Association for the Advancement of Medical Instrumentation (AAMI) packaging work group and was elected to the USP Expert Committee Member on General Chapters - Packaging and Distribution (2015-2020 cycle). Wendy graduated with a B.S. in Biology from the University of Minnesota.